n commemoration of a marriage or anniversary, this certificate makes the perfect gift. Express your heartfelt congratulations and love for the land of Israel with a personal message to the recipient. Your certificate will be personalized in beautiful calligraphy. 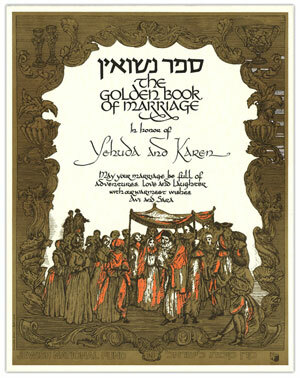 Includes an inscription in the Golden Book of Marriage (Sefer Nissuin) in Jerusalem.